It feels like a lifetime since I last sat down and wrote a blog post, so it feels great to be back. If you didn't know, I handed in my dissertation last Friday which was my final piece of written work for my degree and oh my, does it feel liberating to be free of the stresses of my University work! With just one more assessment next Tuesday morning (where I get to chat about the blog, nonetheless! ), my degree will be over. I've had to take a little while away from the blog just to re-tune my brain - I hope you understand my absence! However one thing I've learnt is that in order to semi-cope under the pressures and stress of deadline after deadline, is how important it is that you maintain as healthy as possible throughout. It sounds like the last thing your brain will even have time to do but I promise you, with preparation and good organisation, it's do-able. For most people who are feeling run down and have too much work going on, finding the time to prepare food, let alone have time to think can seem almost impossible. This doesn't mean you need to start preparing half a dozen lasagne's or roast half a farm, just think really simple ingredients that you can whiz up in about an hour or so and keep in the fridge or freezer. A frittata would be perfect as you only need eggs and a handful of ingredients lying about in the fridge. Then, slice it up and keep it in some tupperware in the fridge for a few days. Soup is also perfect for batch cooking too. Otherwise, whip up a batch of bolognese or chilli, bag it up and freeze it, then each morning take out a portion and defrost in the fridge, ready to heat up in the evening and serve with a baked sweet potato or some green veg. Do the same with breakfasts - overnight oats/a big batch of granola/smoothie bags etc. Preparation is key during times like these. Snacks will be your best friends when you're under pressure and need to get work done or when time is slipping through your fingers. Make up some tasty snack balls or bars, such as these Cacao and Maca Balls which take minutes to make. Scour through Pinterest for healthy snacks that you can pop in your bag and take with you on the go. Sometimes, a teeny tupperware pot with some mixed nuts and a square or two of dark chocolate will be perfect to satisfy any cravings you're having. Otherwise, Bounce Balls are a fantastic snack to keep in your bag, they're really satisfying too and keep you full with the added protein - and the Cacao Mint flavour is to die for. Keeping a diary or a planner, whether in physical form or on your iPhone is vital when you've got deadlines or work coming out of your ears. One thing I learned whilst studying at University is that you seriously cannot leave things to the last minute. Get prepared, work out when things are due and work towards those dates. This helps keep things clear in your mind and stops you from having a total manic panic, which will leave your brain frazzled and will lead you into making irrational choices and probably comfort eating cookies and ice cream. If you ono you simply cannot meet deadlines, then it's time to speak with your boss or tutors, or whoever. Even if your stress isn't work/study induced, keeping on top of your life and simply writing down what you need to do the next day or throughout the next week can just help keeping your mind clear. You may be putting pressure on yourself to get everything done on time but do not forbid yourself 'you' time. It is precious. Keeping your mind as balanced as possible is vital. Whatever it is that you enjoy doing that keeps you sane, do it. Whether that's curling up in bed and reading a new book, catching up on your favourite blogs, going to the gym or for a run, running a bath and painting your nails, baking... whatever it may be - even if it's pretending you're Marina and the Diamonds or Britney Spears in the darkness of your own room in the middle of the night (that so didn't happen with me at all...). Just do it. Your mind will be thankful for you taking some time off work or life's stresses and giving it a rest. It's only been in recent months that I've properly given yoga a go. Ever since I discovered Yoga With Adriene, I realised that yoga is: 1. Actually do-able, and 2. A really great way to stretch, do some gentle exercise and clear your mind. I highly recommend checking out her videos, especially the 30 Days of Yoga course, even if you dip in and out of it. Otherwise, take a look around YouTube for other yoga or Pilates videos. Seriously, just get into some comfy, stretchy clothing, pyjamas are most certainly acceptable and press play. There's no harm in attending a yoga class in your local area once or twice a week too, if you have access to some great classes. Yoga seems a little silly at first but once you get into it and develop a good breathing pattern and get savasana - you'll be thanking me! When you've been working away for what feels like an eternity and the end line just doesn't seem to be in sight, sometimes you just need to perk yourself up a little bit to cheer yourself up and keep you going. I spent the past 6-8 weeks hiding away in a little café that served almond milk cappuccino's which I gulped down by the bucket load (I still haven't seen the damage done to my bank account). These were a treat in themselves, in all honesty. However they also served the most delicious, rich, gooey and crumbly salted caramel shortbread slice. Oh yes, that is a thing. So whenever I found I couldn't write about Britney Spears' authenticity anymore, I treated myself to one of these. Not exactly what you'd think you'd be encouraged to do in a post about 'Keeping Healthy During Stressful Times'. However, I was eating well in all other areas so one little treat like this did little harm. If that doesn't tickle your fancy, stop off at a local flower stall and pick up a fresh bunch of flowers to brighten up your home. I always find I feel more motivated and uplifted when I have a fresh bunch of pretty blooms. I've missed you all! Let me know how you've been! Have you been going through any stressful times recently? What's your favourite way to keep calm? Do you have any healthy tips or snacks to share? Please do leave a comment - I adore it when I see a little message from you. Thank you, and congratulations to you too! Isn't it such a relief?! Blogilates is a great all rounder, whatever you want to do, and they're much more exciting than lots of workouts out there too. Some great tips here Lucy. During stressful and busy times, I think having healthy snacks on hand and being prepared by batch cooking healthy meals always helps. Congrats on finishing your degree, I've just finished mine as well, it's such a strange feeling! Yoga is something I've been thinking of trying for a while now, I can imagine it's so relaxing. Will be checking out Adriene's videos! I was probably guilty of failing at limiting caffeine - I was drinking one or two almond milk cappuccino's daily whilst working, oops. Though I did have a rule of no coffee after 12noon! Sleep is such an important tip though - how did I forget that one! Everyone who mentions yoga in a blog post mentions Yoga with Adriene :) I love her videos, they really are doable! And major stress relievers for sure! I really like the treat yourself tip - it's easy to forget about being kind to ourselves when things get hectic! Just little things like telling myself 'it's going to be ok' - kind of like you would a child - actually really helps! Yey for finishing that assignment for uni, I bet you feel like a new woman! 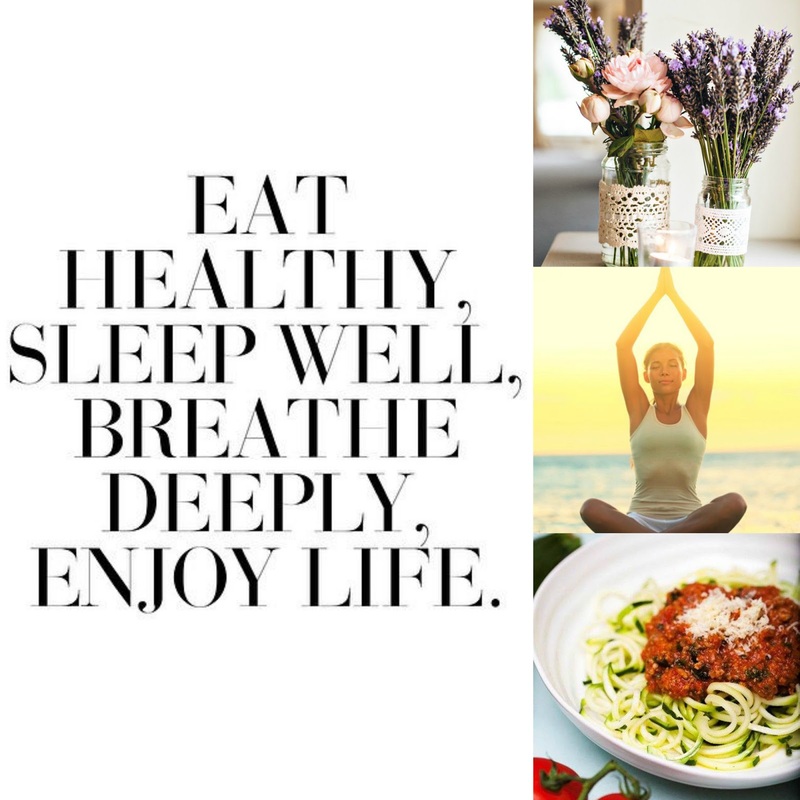 Great tips, especially yoga and treating yourself, two things I intend to do tomorrow!